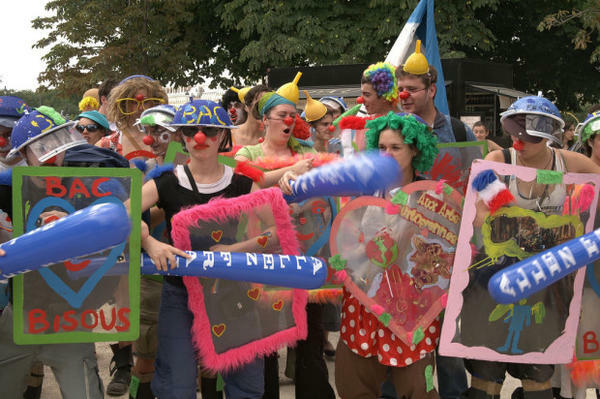 Members of the Clown Army. This is a guest post by Claire Schoen, a producer, documentary filmmaker, and the creator of the Stepping Up podcast. “Laughter is the best medicine.” Like every cliché, this old adage springs from a kernel of truth. And in these distressing political times, a good dose of laughter may be just what the doctor ordered. “I like to think of it as a lifestyle. Being a prankster activist is a lifestyle choice,” says Larry Bogad, the star of the Clowning Around story and a veteran political prankster. He has spent a lifetime creating spectacles on the street, in the halls of government and in corporate board rooms. Bogad always shows up with his "First Amendment tote bag," packed with the costumes and paraphernalia he might need to create a scene. And a lot of his foolishness is laser focused on the climate conundrum. His Clown Army, dressed in classic red noses and rainbow wigs, shows up at a climate protest to shower the police with flowers and kisses. In a black cassock, Bogad plays the priest, leading a funeral procession for the last ice on Earth. Posing as an officer of the fictitious Oil Enforcement Agency, he slips into an auto trade show to wrap gas guzzling SUVs in police tape. A thrift store suit and a business card serve as entrée into a meeting of oil execs, or a press conference, or a TV talk show where Bogad and his pals have slipped in under the guise of legitimate company VPs to denounce drilling and pronounce the end of oil. Clowning around, creative pranksterism, collective buffoonery, beautiful trouble, serious play; these are various ways in which Bogad characterizes what he is doing. On the surface, it all looks like fun and games. But the underlying goal is to get our attention and get us to take action. People turn away from a flier proffered on the street and doze off during a power point presentation. But Bogad’s wild and crazy antics, which point up the contradictions and lies in American climate policy, may just get us to stop, laugh and join the conversation. These pranks occur in a specific time and place. But their effect is magnified by what Bogad calls “earned media coverage.” While an action at a big conference might be quickly shut down, the cameras have been rolling. And the stunt provides fodder for the nightly TV news that reaches a far greater audience. But does this really have an impact? 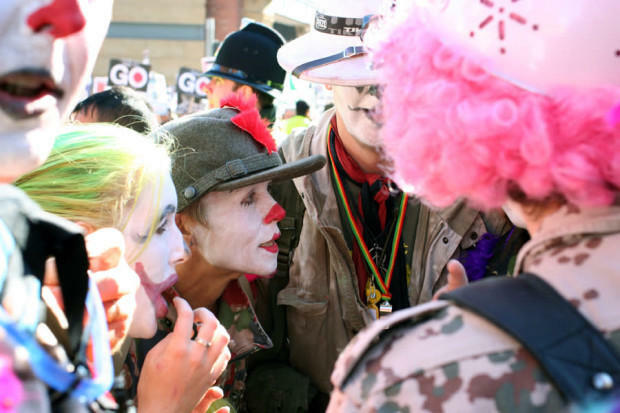 Can clowns create real change? The answer is complicated. 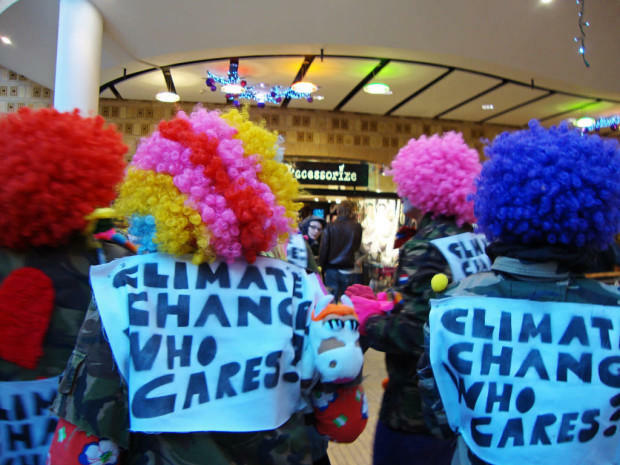 Climate clowning is just one element in the panoply of climate activism: Carrying a sign at the demo, canvasing for a climate candidate, taking a risk with an illegal action, these are also vital. But unlike other kinds of action, political performance can tell the hard truth about the climate crisis in a way that invites us to listen. 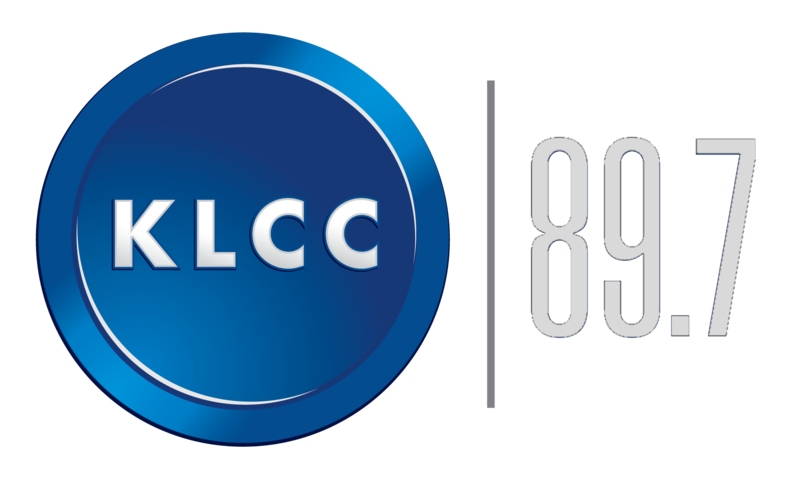 Listen to Episode 3 of Stepping Up to hear Larry Bogad’s whole story. And subscribe to the podcast on iTunes or wherever you get your podcasts. Claire Schoen is the producer of Stepping Up. She creates audio documentaries for radio and podcast.